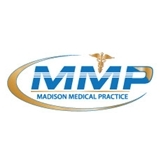 Madison Medical Practice PC (New York) - Book Appointment Online! We encourage you to complete ALL paperwork and submit front and back photos of your insurance card(s) when scheduling. This will save you time and provide us with all the information necessary to contact your insurance regarding your visit at our practice. Once you book an appointment... IT'S YOURS. If you cancel/no show less than 6 hours prior to your appointment, you will be responsible for a $50.00 cancellation fee. We understand that people get stuck in meetings and have emergencies. We will TRY to accommodate you if you are LATE for your appointment but can not guarantee that you will be seen the same day. I have the impression the office and doctor don't take into account the information we update on ZocDoc. i had filled the check in with all details and there I had still to update my address and the doctor asked all those questions again. My only concert regarding the visit itself was that there was and issue with one of my exams bu the doctor was very vague to explain. Great Dr. Friendly, easy to talk to. MJes me feel comfortable.